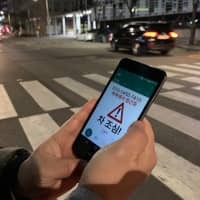 ILSAN, SOUTH KOREA - A city in South Korea, which has the world’s highest smartphone penetration rate, has installed flickering lights and laser beams at a road crossing to warn “smartphone zombies” to look up and drivers to slow down, in the hope of preventing accidents. In addition to red, yellow and blue LED lights on the pavement, “smombies” — smartphone zombies — will be warned by laser beam projected from power poles and an alert sent to the phones by an app that they are about to step into traffic. 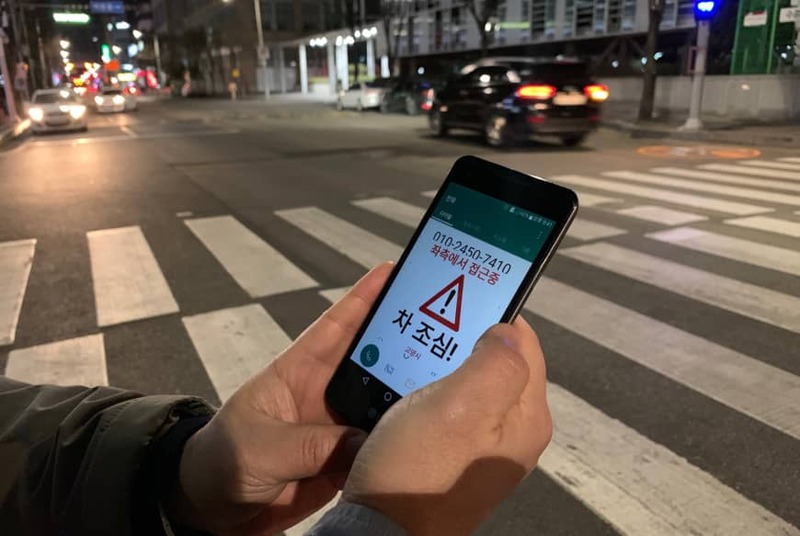 The multidimensional warning system is operated by radar sensors and thermal cameras and comes with a price tag of 15 million won ($13,250) per crossing.